Walmart has reportedly accepted 100 percent of the responsibility for the accident. Walmart has reached a settlement with Actor Tracy Morgan, resolving a highly publicized truck accident case, a Portland truck accident lawyer explains. Many have been closely watching this case, as the June 2014 Walmart truck accident that seriously injured Actor Tracy Morgan made plenty of headlines. In fact, this accident, which ended up killing one of Morgan’s friends and causing Morgan himself to sustain serious brain injuries, occurred on the New Jersey Turnpike when a Walmart truck driver slammed into a limo bus carrying Morgan. Driver fatigue was an issue – The Walmart truck driver reportedly told investigators that he had been awake for 24 hours straight prior to the accident. Driver fatigue has been found to be as risky as drunk driving, as research has revealed that motorists who drive after being awake for 24 consecutive hours tend to have impairments similar to those displayed by motorists with BACs of 0.10 (i.e., legally drunk motorists). The Walmart trucker was speeding prior to the collision – The National Transportation Safety Board has reportedly found that the Walmart trucker was driving about 20 mph over the speed limit immediately prior to the accident. While the civil case regarding this accident has been settled with Walmart , it remains to be seen how the trucker will fare in the criminal case, as he has been charged with vehicular manslaughter and vehicular assault. 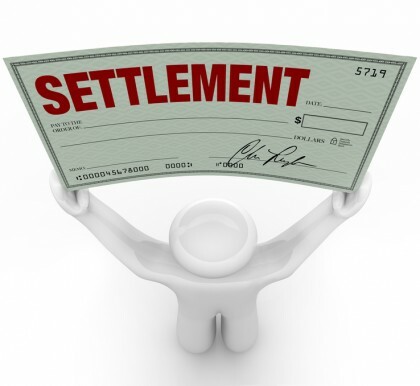 What are your thoughts about this accident and settlement? Share your comments with us on Facebook & Google+. Have you or someone you love been hurt in a truck accident? If so, you can rely on a trusted Portland truck accident lawyer at the Savage Law Firm for experienced help and aggressive legal advocacy. For more than 30 years, our lawyers have been devoted to providing each of our clients with personal attention, respect and the highest quality legal services. This means that helping you recover from the financial setbacks caused by traffic accidents is one of our primary goals. We encourage you to learn more about your rights and potential case by setting up a free initial consult.